Creatively Savvy: Scraptastic Club Store and Treats! I am also happy to announce that I am on the Scraptastic Club Store Design Team and today was my first blog post! The store Design Team will be posting at 2pm EST so visit the Scraptastic Club Blog every day for the morning posts by the Kit Design Team members and then again in the afternoon for even more inspiration from the Store! Are you ready for Trick or Treating or maybe just treating? My guys will hand out candy, but they are grown up now, so we have our own little party with lots of treats. 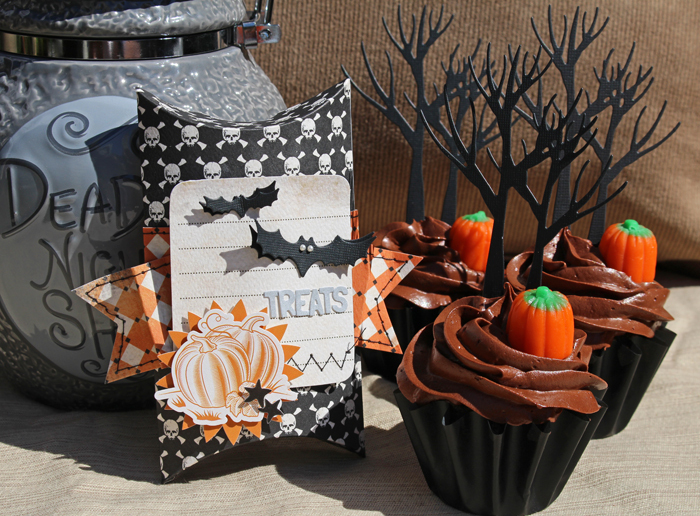 Have you seen the gorgeous Spooky Collection by Carta Bella Paper? These are nice thick textured cardstock that hold up beautifully when you make dimensional items. Don't forget that these papers and embellishments are perfect for not only your scrapping and cardmaking, but also when you need something extra special for entertaining.